This month we focus upon the decision to spay or neuter your pet–and the factors to consider when making such a decision. Spaying is the process of removing the reproductive capability of female pets, while neutering is the same but for males. Among pet owners there is often resistance to having a pet spayed or neutered. No owner wants their pet to undergo any additional surgeries nor experience any temporary discomfort. However, most veterinarians recommend pets that will not be intentionally bred (such as show animals) should undergo the procedure. But why? Longer and healthier life. Spayed and neutered pets tend to live longer and have healthier and happier lives as many of the chemical processes associated with reproduction can have negative health consequences later in life. For example, spayed and neutered pets often tend to have a lower incidence of cancer. Less aggression and wondering. 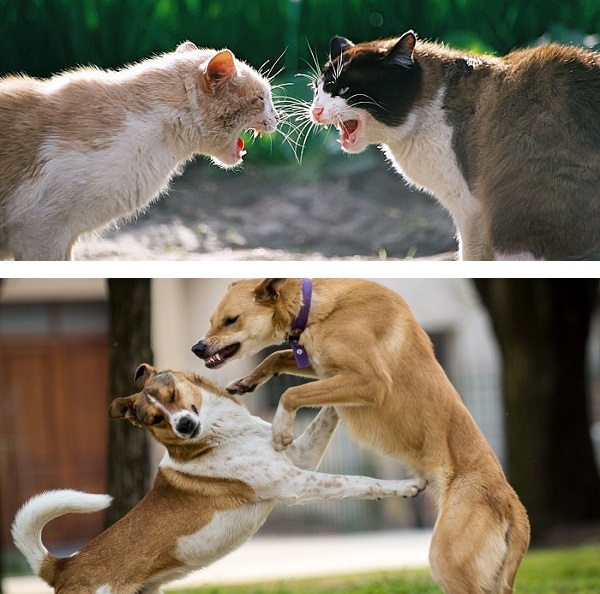 Non-spayed or unneutered pets are often driven to “compete” and fight others for the right to mate. And in the process of searching for mates, pets can wonder the neighborhood subjecting them to unfamiliar territory, risky road/highway crossings or protective pet owners. Once neutered, this activity quickly subsides. Remove the chance of unwanted kittens or puppies. One of the largest advantages of spaying or neutering your pet is that you, the pet owner, will not “surprisingly” be responsible for a litter of kittens or puppies — and everything that entails from emotional attachments to financial responsibilities to finding a home for kitten or puppy. Better pets. Pets that are spayed or neutered tend to be better pets. They spend more time with the family, are more affectionate, and generally much happier. Furthermore they tend to “mark territory” less with urine — particularly within the home. The process of neutering a male is relatively straightforward. After applying anesthesia and preparing the area, an incision is made within the scrotum allowing the vessels to the testicles to be identified. Then the vessels are severed and the testicles are individually removed through the previously made incision. Using dissolving sutures the inner incision is closed followed by sutures, staples or glue to close the skin and the 10 to 20-minute process is complete. Postoperatively he may receive medication and an Elizabethan collar to prevent licking — which can lead to infection. Within one to two days the tenderness will subside and your pet will return to normal spirits and activity. While spaying females is routine, the process requires more time given the location of the reproductive organs. After general anesthesia and preparing the area, an incision approximately two inches in length is made laterally in the abdomen. The veterinarian carefully cuts through the muscle to provide access to both ovaries and uterus — which are then carefully located, tied off and removed. Using dissolving sutures, the muscle is reconnected and then the skin is closed with sutures, staples or glue and the 40 to 60-minute process is complete. Postoperatively she may also receive medication and an Elizabethan collar to prevent licking. 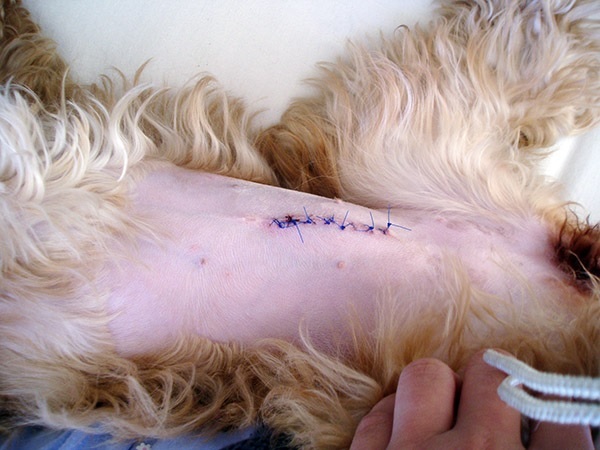 Within several days the tenderness subsides and the sutures will be removed approximately ten days after surgery. If you’re thinking about spaying your pet, the ideal time to act is between three months of age for cats or band just before she goes into her first estrus — or heat. Spaying prior to the first heat prevents the release of hormones and generally leads to a longer pet life and a lower incidence of uterine infections, breast tumors and cancer. For males, neutering is best performed just before your pet has reached sexual maturity — often between six and nine months of age for dogs and three months for cats. Adult males can be neutered at almost any time, but the benefits are greatest if the process is performed earlier. As with any surgery, the younger the pet the faster the recovery. Below are several key questions to consider when thinking about spaying or neutering your pet. Do I want the best health and longest possible life for my pet? Based upon the scientific data, you should strongly consider spaying or neutering your pet. Can I support a litter of kittens or puppies? If you don’t have the time, resources or strength to find homes for new kittens or puppies, then you should strongly consider spaying or neutering your pet. Will I breed my pet? If you might breed your pet, then the spaying or neutering decision should be delayed. If you have any questions about spaying or neutering your pet, please contact us. We can explore your situation and discuss options that may be best for you and your pet.